Since Fangirling and Music go hand in hand and since we love all things Kristi Cook here, I thought I would follow up to the last KC post (Click HERE or HERE for the first two playlists) and add the official Eternal Playlist for you guys! 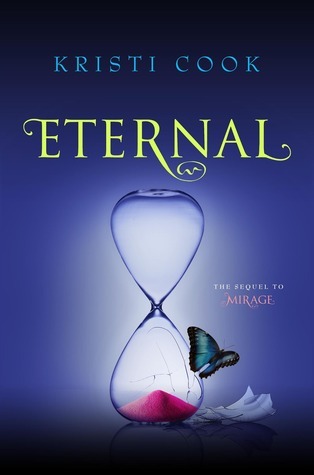 Eternal is the last book in the Winterhaven Series and if you haven't read any of the series, I suggest you start. You can find the review for the first two books HERE and you can find the review for Eternal (releases 9/3) HERE. Like so many other authors, I’m obsessed with music. I write to music–sometimes classical, so that I’m not distracted by lyrics, but more often to regular music. Sometimes I’ll find a song that somehow has just the right “feel” for a scene I’m working on, and I’ll put it on loop, playing it over and over again as I write. Weirdly enough, that usually makes the lyrics kind of disappear. It creates atmosphere, and that seems to help me, creatively. I love to put together playlists for my books. I start one the moment I begin a new manuscript, and it’s generally a work in progress–with songs being added and deleted–right up to the book’s release. I obsess over the playlist, trying to get the perfect line up of songs–a mix of songs that inspired me while I wrote, and songs that represent the book’s story and themes. And then I obsess some more, rearranging the songs till they’re in the perfect order. I like the playlist to complement the book, like a movie soundtrack does. Now that I’ve finished the playlist for ETERNAL (the final book in the Winterhaven trilogy), I’ve noticed a few interesting things. One, both Green Day and Mumford & Sons have made all three playlists. Not a big surprise, as I’m an enormous fan of both. But I’m an equally big Maroon 5 fan (they’re probably my favorite band! ), and somehow they only made one. Two, one song, Ed Sheeran’s “Kiss Me” made both the MIRAGE and ETERNAL playlists. I think it’s safe to say that this is Aidan and Violet’s “song.” Whenever I’m writing a steamy/romantic scene with the two of them, I have to have “Kiss Me” playing on loop. Three, this playlist, like the two before it, is a really odd mix of genres, with everything from old-school punk rock to 80s pop to modern rock and indie/alternative tunes. I hope readers will be able to make some connections to the music as they read ETERNAL (those vintage punk t-shirts Aidan likes to wear…the indie rock song Violet plays for Aidan) and that the playlist provides a little more richness to the story. Since I’m releasing the playlist a week before the book releases, I’m wondering what sort of clues fans of the series will pick up on, and what plot predictions they will make based on those clues! (I just love that Ed Sheeran song so much. Sigh.) Happy Listening all my Winterhaven Warriors! Get in touch with Kristi!